For Every Millennial, Diwali Back In 90s Will Always Be The Best! The kid in me of the 90s will always yearn to go back in time. I’m an out an out 90s kid! From Alisha Chinai’s pop songs (which I still shower sing) to drooling over Milind Soman in Captain Vyom to religiously watching the Vishal-hosted Disney Hour every evening, I’ve proudly done it all. Come Diwali and I get nostalgic about the 90s. 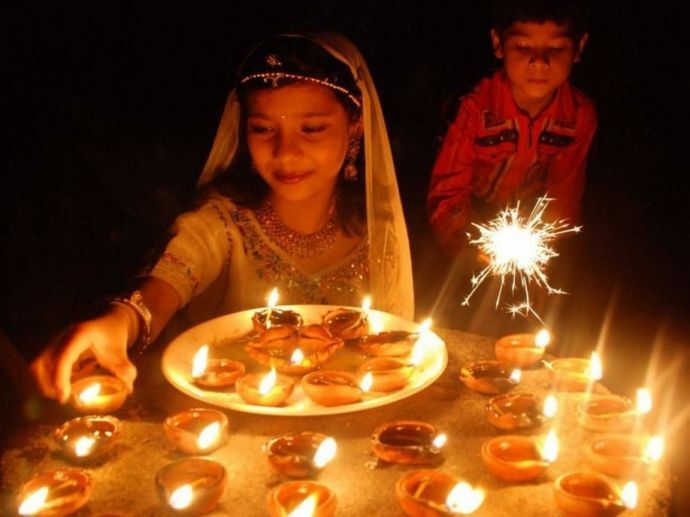 It’s pointless to point out that Diwali of the 90s was so much more different than the Diwali now. Also, so much better! Don’t get me wrong, I’m not saying it’s not better now. It’s the best with the changing times but the kid in me of the 90s will always yearn to go back in time. For the ones who came here after the 90s era, I’ll list you 10 reasons on why Diwali of 90s is such a ‘thang’ for us! I still remember even as kids, dad would announce that Diwali cleaning is not just mummy’s and his responsibility and that we had to be a part of it too. This rule later went on to become a tradition where each one of us would be armed with either a jhaadu or a vacuum cleaner and get started with our territories. Kitchens would have a menu for a little house party in itself. With mom ensuring that the ratio of groundnuts to daliya be 1:1 in the chiwda to getting the chashni of gulab jamun just right. The kitchen would be flocked with other aunties from our building who’d come to taste our sweets and share theirs with us, followed by the endless gossips. Such merriment! Torans, flowers, new lamps, mirchi lights, fairy light and whatnot came out of old boxes and new during the decoration time. Standing up on stools are reaching to every corner we’d make sure no corner was left unlit! Most of my time went in daydreaming who would gift me what this Diwali. Some of it even went in hinting my closest cousins what I wanted! But when all of us went shopping for gifts for our friends and folks, it was happiness level 99! The joy of giving they talk about? It was this! As kids, the options in clothes that were presented to us, came pre-screened from mom and dad. While dad would use the colour filter, mom would screen the fabric. Whatever passed the screen test were ours to select from. Looking back at the old photographs, I think I did pass the fashion tests too. There would be a rangoli competition in our building every year on Diwali. Ladies would sit in the doorway for hours and showcase their creativity at their best. But the fun part was when we kids would cheer our moms like they would cheer us in our sports day races! Okay, this is one thing that absolutely hasn’t changed. 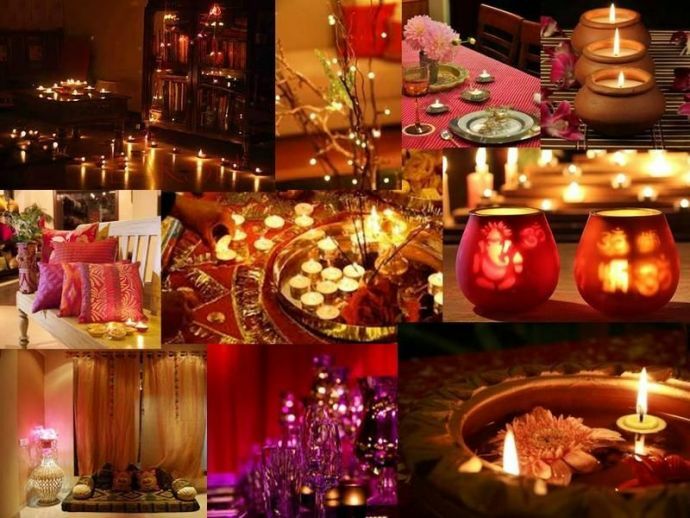 Our house used to have diyas, the earthen ones, in every corner, table, teapoy and every possible place. A hundred of them, for sure! I remember fighting with my brother to decorate the porch and the edge of the terrace with diyas because it was all so filmy! Cut to 2017 and we still fight over it! The only thing changed is me hoping for a candid picture amidst this filmy scene. As a tradition, something new was supposed to be purchased on Diwali. But mum and dad would keep it a secret from us. Come Dhanteras evening and we siblings would jump around the house in excitement. From that new Maruti car to Videocon ka TV, we’ve welcomed all these oldies with surprised and happiest of smiles. Oh yes! Back then the poojas would go on for a long duration as compared to now. We kids were compulsorily made to sit through the pooja and mummy would tell us to pay attention on how dad conducted a pooja for if we remember the exact sequence, she’d let us perform the next Diwali pooja! Hah, what tricks ra! As kids, we barely had any sense of responsibility. And when mum tried to imbibe any, we would throw tantrums and get all of those fancy crackers which were trending in the market. Phooljharis, anar, chakris were such Diwali dope stuff!